I'm seriously beginning to wonder why they bother with trailers. 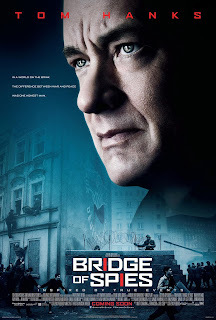 Take Bridge Of Spies for example, a film I was expecting to be a tense Cold War thriller. The poster kind of adds to this. What you get is quite different, which isn't a bad thing but I could have done without spending the opening 20 minutes frantically readjusting my expectations as the real story revealed itself. Because, once you get past the initial tense 'spy' stuff, what you've actually got is Tom Hanks playing a man trying to do the right thing in a world where such things don't matter. Which doesn't make it a bad film, but it does make it a very different one. For those who've missed the build-up, Bridge Of Spies tells the real-life tale of James B Donovan, an insurance lawyer who gets persuaded to defend Rudolf Abel (Mark Rylance) against spying charges. This being the Cold War era, it's a thankless task as his guilt is presumed. So what unfolds is the story of a man trying to do what's been asked of him in a system that doesn't want to help or work for him. And, in this, there's a really good film. It's just not a spy film. It's a story of friendship and relationships. And it's told really, really well. It helps that Rylance is able to go toe-to-toe with Hanks, thus stopping him from taking over the whole film (something you only notice when Rylance is not on screen and you realise no one else can match the Hankster). The two central performances are really good, with Rylance's subtle, underplayed character a perfect foil for Hanks' more passionate approach. To be honest, everyone else is entirely secondary - including Alan Alder, who seems to have just popped in on his afternoon off and is simply enjoying hanging out with Tom. And, this being Spielberg, the story is captured well. It's got the right feel for the era, the time in Berlin (just as the wall is going up) feels as cold and frozen as the weather, while the more action-y scenes do grip you. Where the film falls down, however, is the story itself. Intertwining the Russian spy with the American pilot the Yanks want back works OK - which is just as well, given it's what actually happened. But there's a third strand which, while again being entwined and a case of historical record, actually feels bolted on as an afterthought. There are four main characters at play, but the fourth is given precious little screen time, very little back story and the outcome is neither here nor there in the grand scheme of things. In fact you could have ignored it all together and not lost anything from the film. Which may seem harsh when the bloke's still alive (I'm not naming him, 'cos that might be a little spoilery) but when his part in the story is kind of key to Donovan's later roles either give him the depth his character needs or just ignore him. The half measure helps no one. The film is also too long. To the point that the second half feels like you've started watching a second film. And once you've cleared two hours, you're just willing it to be over. Not because it's not good, but because you feel like you've walked to Berlin while Hanks flew there. Which is a shame, because in feeling like you've been dragged over and through the Berlin Wall twice, you can overlook some of the great things this film has to offer. For a start, it's funny. In dealing with a dark and potentially terrifying subject (America was living in genuine fear of nuclear war at this point), writers Ethan and Joel Coen (yup, they) and Matt Charman have injected some nice touches of humour. Key to these is Rylance, who delivers simple lines so perfectly that you find yourself almost laughing before he delivers the phrase "would it help?" 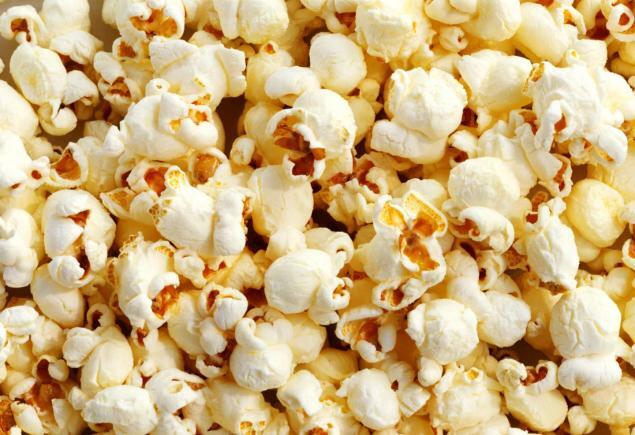 as the film progresses. And for once Hanks isn't trying to fill every scene. At times it can be easy to forget that he can actually be a subtle actor, and here he allows the story to breathe and flow around him rather than dominating proceedings. It's just a shame it's so damn long and convoluted. 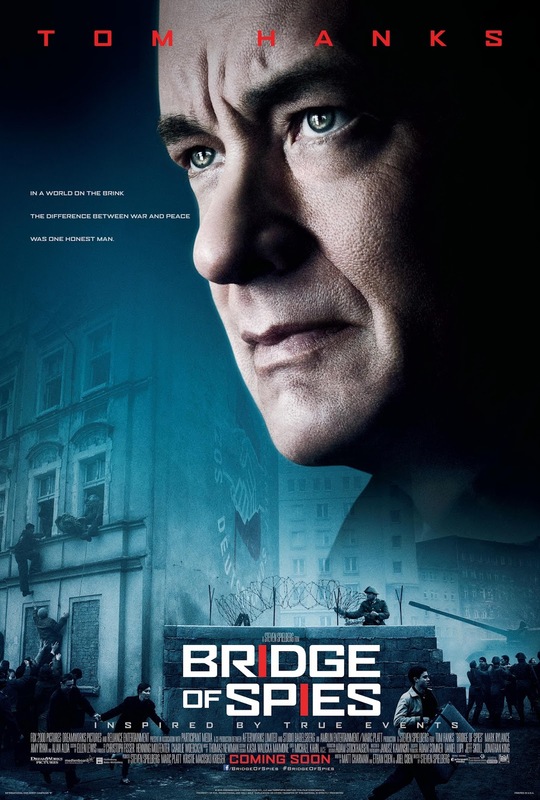 For a story of the past, Bridge Of Spies has something to say about the world we live in now - with paranoia over strangers and Governments using people for the "greater good" at it's heart. And it's held together by the brilliant central performances of Ryland and Hanks. It's just not the spy thriller you're expecting.